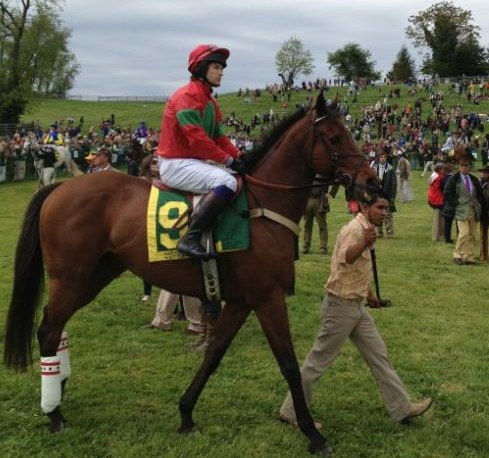 Congratulations to Sam Waley-Cohen who enjoyed third place yesterday in the Maryland Hunt Cup on BON CADDO. Having been introduced to connections by Richard Pitman, Sam was one of only 6 runners and riders to complete from a field of 12 with the race including 22 formidable vertical four or five rail fences run over 4 miles. THE HOUSEHOLD CAVALRY OPERATIONAL CASUALTIES FUND. If you are interested in taking part, please e-mail Sarah Oliver sph.oliver@btinternet.com for an application form and race details. Applications close on 15th May. Rachel King represented Great Britain in Abu Dhabi at a Press Conference and Exhibition during Aintree week when it was announced that The Shaikh Mansour Bin Zayed Al Nahyan Global Arabian Flat Racing Festival’s Her Highness Shaikha Fatima Bint Mubarak Ladies IFAHR Cup will now be run as a world championship with invited professional lady jockeys also participating. Rachel won a race in this Arab racing series in 2011 in Oman. Points will be awarded for participation and Lara Sawaya, Festival Director, also announced an additional £50,000 is now added to the championship, which will be distributed between the top 3 point winning amateur clubs at the end of the series (€25,000, €15,000 and €10,000) in appreciation of their support and encouragement of lady jockeys. The winning lady jockeys of each of the 9 races of 2012 will automatically get an entry into the HH Shaikha Fatima Bint Mubarak Ladies World Championship final race in Abu Dhabi on 4th November. The winner of the final championship race will also win a Mercedes car! The AJA are very grateful to Lara Sawaya for producing so many unique race riding opportunities around the world to so many lady jockeys. So far this year Helen Cuthbert (Oman), Pip Tutty (Australia) and Adele Mulrennan (Texas) have taken part. Nicola Dumelow travels to Morocco for the 4th race of the series on 4th May. 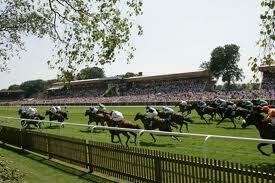 Newbury hosts the next race on 19th May when Anna Wallace will represent Great Britain. The series then moves to Berlin (10th June), Stockholm (10th July), Warsaw (26th August), and Craon (3rd September) before the finale in Abu Dhabi. Would YOU like to develop and improve your riding technique and jockey skills? Riding out with video reviews; a school session with Olympic coach Yogi Breisner; dietary and nutritional advice; sports science; simulator training using state of the art Dartfish Technology to improve pushing technique and use of the whip; fitness assessment and review; fall training using the Equichute; sports psychology. This fully residential course is for 4.5 days and costs £500 which includes tuition, accommodation, meals and refreshments. 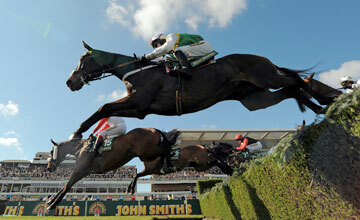 KATIE WALSH 3RD IN GRAND NATIONAL! 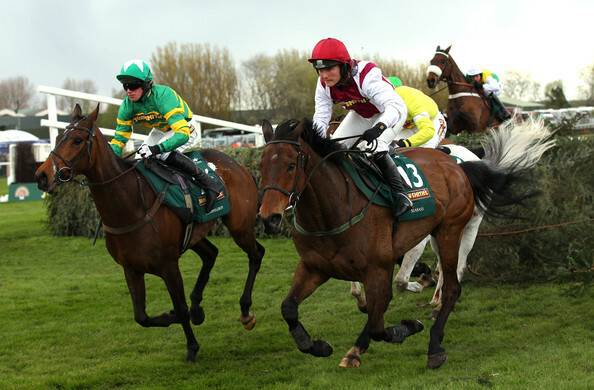 Huge congratulations to Katie Walsh on making the Aintree record books by becoming the most successful lady jockey to ride in the history of the Grand National when she finished third today to Neptune Collonges and Sunnyhillboy on her trainer father Ted’s SEABASS. A thrilled Katie said after the race “I had an unbelievable spin. It was a fantastic experience. It was great to get round. I can’t believe its all over and I can’t wait to do it again. At the third last I was going okay. I pulled down my googles turning in and Barry (Geraghty) said to me “You’re not going too bad” but I knew then I wasn’t going to win. I was just delighted to be placed.” SEABASS was going well in the closing stages of the race but was beaten as the first two fought out a thrilling finish. Many congratulations to top Irish amateur Richie Harding who had a thrilling win today at Aintree in the Fox Hunters for trainer Donald McCain and owner Trevor Hemmings with CLOUDY LANE in an incident packed race which saw 13 runners and riders complete from a line up of 26. Richie’s ride outstayed long time leader ROULEZ COOL and Sam Waley-Cohen with HERONS WELL taking third place and KEENAN’S FUTURE finishing fourth.